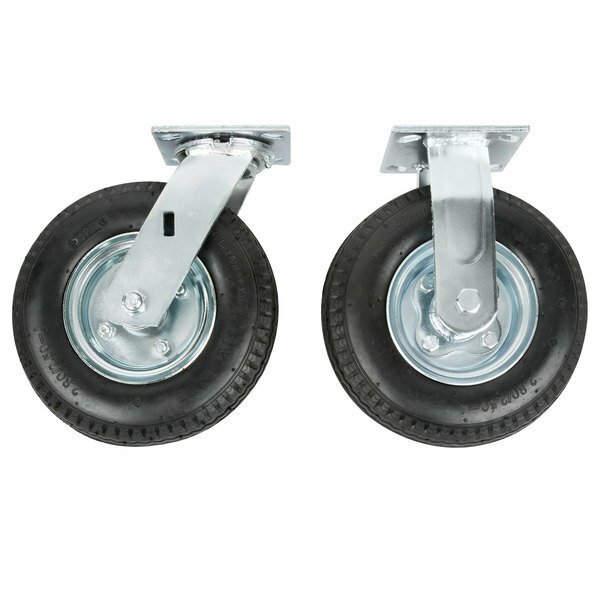 This Rubbermaid FG4592000000 8" pneumatic caster set works with your Rubbermaid cart to replace worn out or broken casters, or change the original solid casters to pneumatic casters. 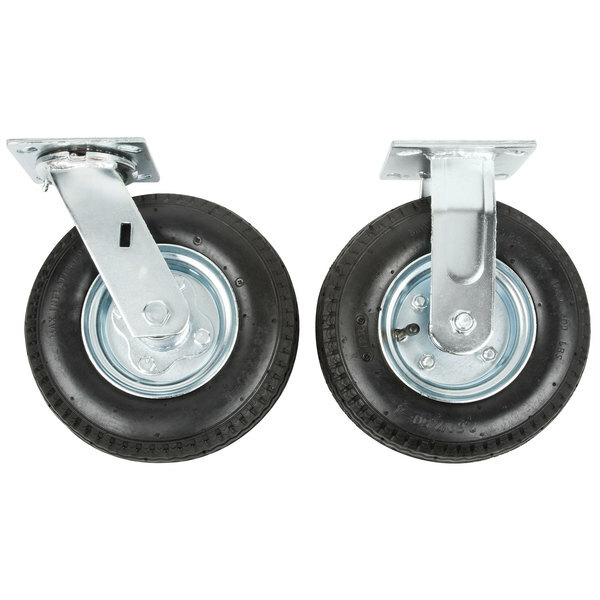 These air-filled casters provide shock absorption properties that solid rubber or poly casters can't. 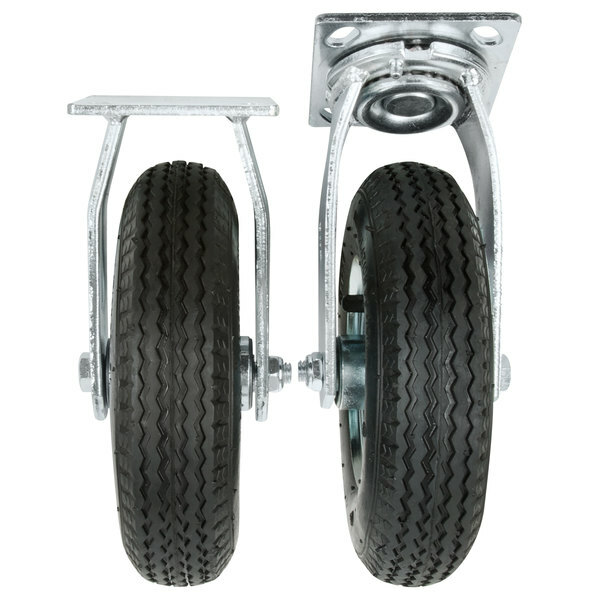 Plus, pneumatic casters allow for quieter operation as opposed to hard casters to keep noise levels down. 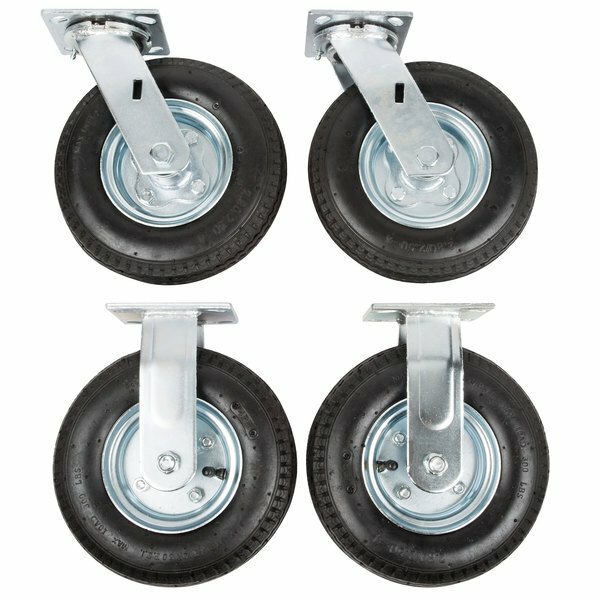 Of the four casters included, two are swivel to provide added maneuverability while two are fixed for greater stability. Frymaster 8102280 Caster,Adj Swiv W/Brake 3"